The problem first came to a head following an investigation by the disquietingly named ‘Stassi Commission’ which led to a ban ‘on the wearing of conspicuous signs of religions affiliation’ in schools. 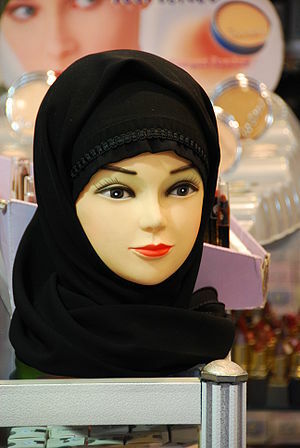 While ostensibly designed to include all forms of religious signs it quickly became apparent that it was the headscarf in particular which was considered unacceptable. However, underneath this appealing argument for freedom from religious pressure in the classroom lies a more concerning motivation to enforce an outdated conception of French identity and freedom upon a religious and cultural group which threatened the status quo. This was even a matter of much discussion among the Commission. Despite their assertions that the action was taken to conform to the 1905 law there were extensive discussions about the question of French gender issues and concept of liberty. These interpretations of liberty are worrying to say the least. The confused relationship between liberty and sexual exposure ignores the central question of freedom of choice and replaces this with an ideology based upon lascivious behaviour and expression. Her argument came amid attempts by some schools to ban the ‘string’ underwear that, due to the encouragement of fashion adverts such as the ‘Sloggi’ campaign, were being worn in low-slung jeans and cropped T-shirts so that the underwear was exposed. Royale’s campaign was particularly concerned with pre-teenagers and went as far as forcing a manufacturer to withdraw a brand aimed at 10 year olds. Despite such concerns, however, the French schools encountered something of a rebellion among the female students when attempts were made to limit this new fashion. At one high school 10 girls were told to change clothes because they were showing an indecent gap between jeans and T-shirt that left their midriffs in view. Three days later 100 girls besieged the headmistress’s office and claimed the right to wear whatever they wanted as a form of free expression in a move which a journalist related as akin to ‘rebellions 30 years ago when female students demanded the right to wear trousers’. For many Muslim women the veil allows them the freedom of expression; it declares one’s cultural heritage or religious affiliation – an expression of identity. It has even been argued that it provides a means of political participation, which would have otherwise been off-limits for women, through acting as embodiments of communal aspiration. Such attitudes were being fostered during a period when anti-Muslim sentiment within France was at a fever pitch. It was the time of of Le Pen’s xenophobic ‘immigration’ agenda and international bombing campaigns operating under the name of Islam. This is particularly telling. The right of these women to wear the veil and express their beliefs and heritage have been struck by the imposition of a culture living in fear of social change and development. France needs to embrace their relationship with the Muslim world and such action is a step in entirely the wrong direction. The article went on to state that ‘since the idea was first mooted last summer, the women say they have noticed a rise in hostility from the public which has seen them ‘verbally assaulted’ and stared at in the street’. It also limits opportunities for women whose strong religious convictions do not permit them to operate in public while exposed. Such women will be unable to either visit public spaces, or take off their veil. It is interesting to note, for instance, that when the Shah forbade the wearing of the veil in Iran many of the older generation of women just did not go outside into public areas anymore. Literally, banning the veil had limited their freedom dramatically. And not only does it justify actions by the majority but it also makes the arguments of radical and paranoid Muslim bodies appear more appealing for those who become stigmatised. It could even lead to further women wearing the veil in an attempt to secure their identity as Muslims in a country which threatens to take it from them. The road that France is currently walking down is dangerous and poorly thought out. If anything the question must concentrate on autonomy – are any of these girls making a rational and independent decision to wear the veil? And if this is the case, then why? How can we give them the freedom to make their own choices? Failing to ask these questions and merely imposing Frances majority values upon these women will merely antagonise and inflame an already dangerous situation.